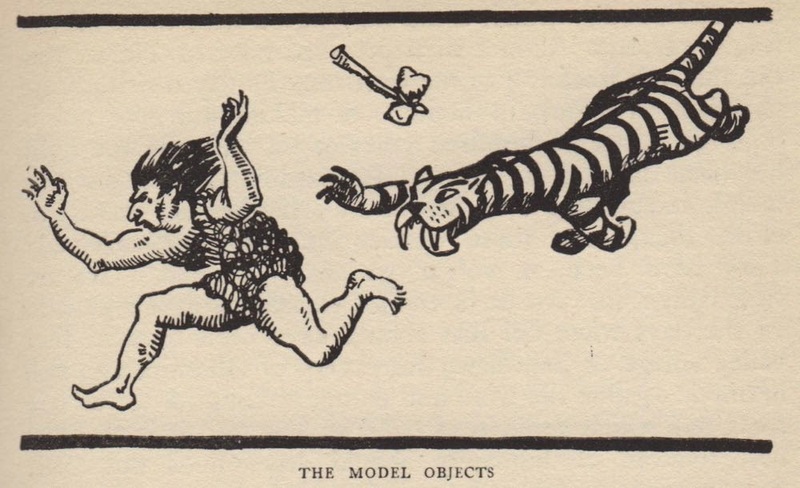 I remember being fascinated with Palaeolithic animal art from an early age. I eventually (in 1994) visited one of the caves containing such art, in northern Spain, the Cueva de Santimamiñe. There were wonderful images of horses, bison, lions, bears, rhinoceros and other Palaeolithic animals. I was confused at not being able to understand the Spanish of the guide until it dawned that he was actually speaking Basque. In their book "Three Lands on Three Wheels" page 168 Jan and Cora Gordon digress from their journey to remember their visit to the caves of Altamira in northern Spain. They walked up "a mile and a half of sopping hillside", obeyed the command to leave all sticks, umbrellas and cameras with the guide's family and "the lock clanked, the grille swung, and we stepped out of the misty rain into the oldest art gallery in the world." "Another key clanked, an iron door fixed in the limestone swung, and we were ushered into the inner sanctuary." They quote Paul Fort on the way darkness "drove out the walls." They were amazed at how the "Palaeolithic Michelangelo contrived to decorate his Sistine Chapel of the Stone Age." "Yet such a power of drawing did they have that, given equal conditions, there is hardly an artist alive to-day who could equal the power of their productions." They found it "strangely unbelievable that of all human implements the paint-brush should be the oldest." The Gordons were distracted by the guide and begrudgingly admired the organised German tourists who brought ground sheets and stuffed rucksacks for pillows and, comfortable on the rocky floor, enjoyed the art "with the same undeviating efficiency as that with which a steam-roller rolls a road." Of the ancient art their opinion was, "Brilliantly conceived, wonderfully drawn, and unimaginably executed, they represent the first great useless impulse of man masquerading under a guise of usefulness." "Clank! The iron door was once more shut on the cave man's cathedral, shutting out the changes of temperature and of humidity which could play havoc with those all too fragile records." "The gate of the grille had closed behind us, and once more we stood on the hillside. The rain had cleared away, and the clouds were shredding themselves to rags against the deep blue of the Spanish sky." I have a very similar memory of emerging into the light once again from Santimamiñe that day in 1994. The final thought of the Gordons on the subject was that, "however much religion may have stepped forward in these 20,000 years, popular art has certainly been degraded in an almost equal ratio."